Many employees do not even realize the catastrophic injuries they could suffer in a workplace accident until it happens to them. One of the most devastating injuries that workers could be forced to live with for the rest of their lives is paralysis. People in a wide variety of industries could become permanently disabled after being paralyzed in an accident. Fortunately, New Jersey’s workers’ compensation benefits may help them by providing payments for their medical bills and lost wages. A person can become paralyzed if he suffers a serious back or neck injury that damages the spinal cord. Generally, if the injury is higher up on the spinal cord, the paralysis will be more severe. In addition, a head injury like traumatic brain injury can result in the person becoming paralyzed. Vehicle accidents. Car and truck accidents are a common cause of traumatic brain injury, which can lead to paralysis. In addition, if a person suffers a serious back or neck injury—such as a broken neck—in a serious crash, he could suffer spinal cord damage and paralysis. Many workers who must drive for their job or between job sites are at risk for this devastating injury. Machinery accidents. In factories, warehouses, and on construction sites, workers operate forklifts and other heavy machinery. If the operator or a nearby worker is injured in an accident, paralysis could be the tragic result. Slips and falls. A worker could injure his back, neck, or head if he slips and falls at work, especially dangerous if the fall is from a height. Burns. If a worker suffers burns in a fire or explosion, he could suffer nerve damage that leads to paralysis. Even toxic chemical burns can cause this condition. Being struck by objects. Being struck by a heavy object—especially dangerous when it falls from above—can cause a worker to suffer severe traumatic brain injury or damage to his spinal cord that leaves him permanently disabled. Caught between objects. 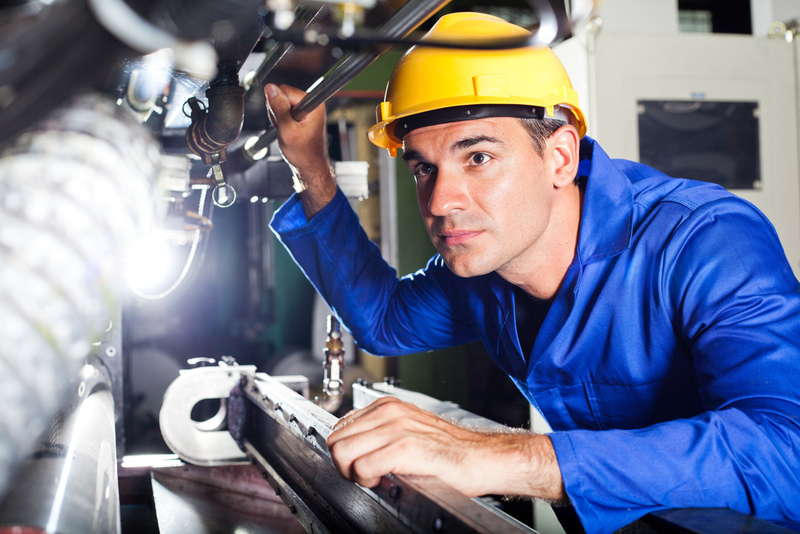 If a worker is caught up in heavy machinery or between machinery and another stationary object, he can suffer catastrophic back, neck, and head injuries. Assaults and violent acts. Unfortunately, some workers are in danger of being the victim of a crime at work. If they suffer a serious head injury or a gunshot wound, the long-term consequence could be paralysis. While these are the people at most risk, other workers could also potentially become paralyzed. For example, employees who must travel for work, such as salespersons and truck drivers, or who drive to different work sites, are at increased risk of a vehicle accident. Slip and fall accidents can happen at many office buildings, retail settings, hospitals, or schools. Health care employees, employees working in the mental health profession, teachers, retail workers, and workers handling money are all at higher risk of being the victim of a criminal act that could lead to their paralysis. If you were paralyzed in a workplace accident, you may need expensive medical treatments, assistive tools to increase your independence and quality of life, and wage benefits to replace your income—permanently if you can no longer work. Even though you may have suffered a catastrophic accident where your employer’s liability to pay you benefits is clear, you may still have to fight to get the workers’ compensation benefits you need and deserve. Call our firm at 877-360-0183 to schedule a free, no-obligation consultation with Manfred Ricciardelli to discuss your rights under New Jersey workers’ compensation laws.